This Transitional sectional high lights its track-styled arms with a slight flare. 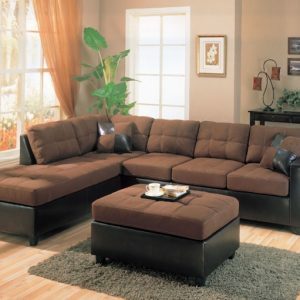 Rich Chocolate tone color body with contrasting colorful accent pillows and wood square legs. Ottoman is available. Chair is not available.